This morning we said our good-byes and left the mission compound a little before 8, taking a side trip to see the new church building for Truth Presbyterian Church. Last year we had posted a picture of a rough shelter where this congregation had been meeting. 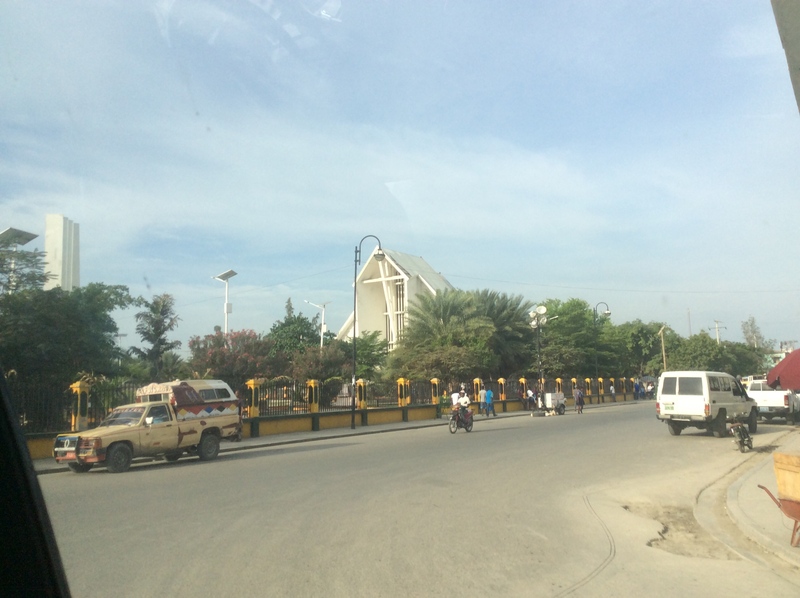 This relatively new church plant is on the north side of Gonaives and down a long dusty, bumpy road in a very rocky and arid part of the city. Most homes in this area do not have water and depend on water trucks and a few wells in the area. 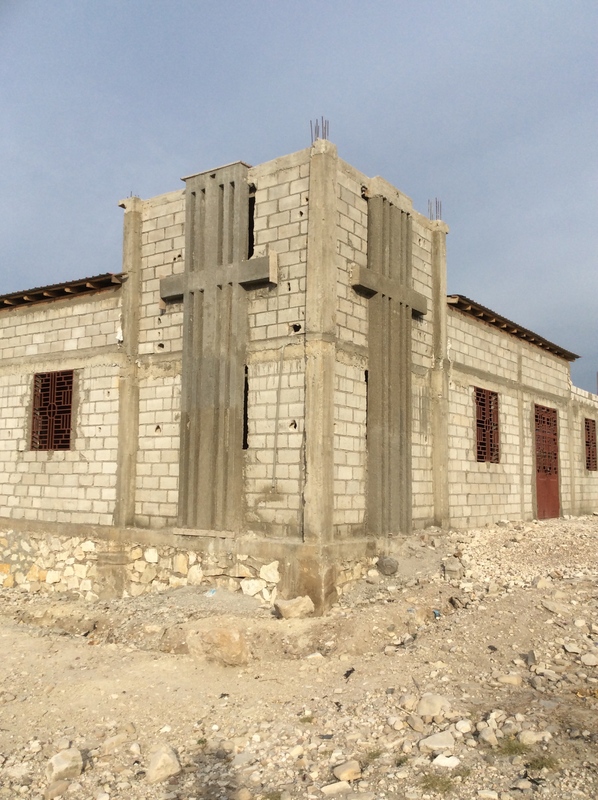 The church was designed by a Haitian member of Trinity Presbyterian, the church where we were this past week, and built by local workers. There are between 60 and 70 people that are now worshiping here each week. The interior is surrounded by large windows for lots of light and good air-flow. So after this side trip, we headed back down the bumpy road and through the town of Gonaives for the three hour drive to the airport. We made it home just before midnight and we are thankful for a safe trip! We had a wonderful week!